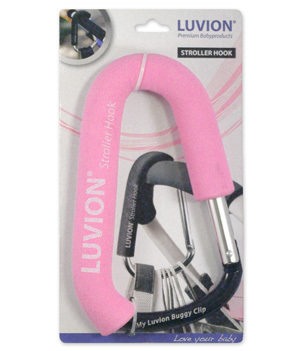 The pink Luvion Strollerhook is the perfect product for shopping parents. There is no more need to struggle with heavy and cumbersome shopping bags. 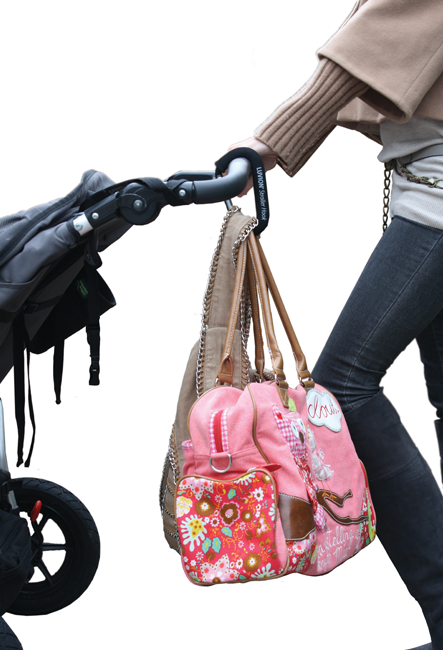 Just snap the Luvion Strollerhook on the handlebar of your stroller, attach your bags and you are ready to go!